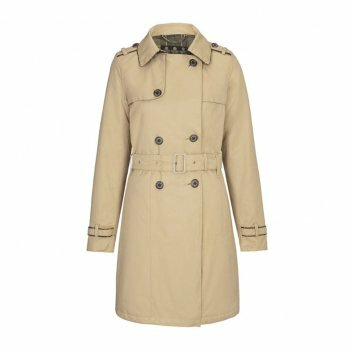 This is a beautiful modern piece with all the classic qualities you would expect from a good trench coat including buttoned and piped epaulettes, yoke flaps and belted waist. It is waterproof yet breathable, perfect for layering warmer garments underneath. The tartan piping and lining adds classic Barbour details and hints at Barbour's Scottish heritage.